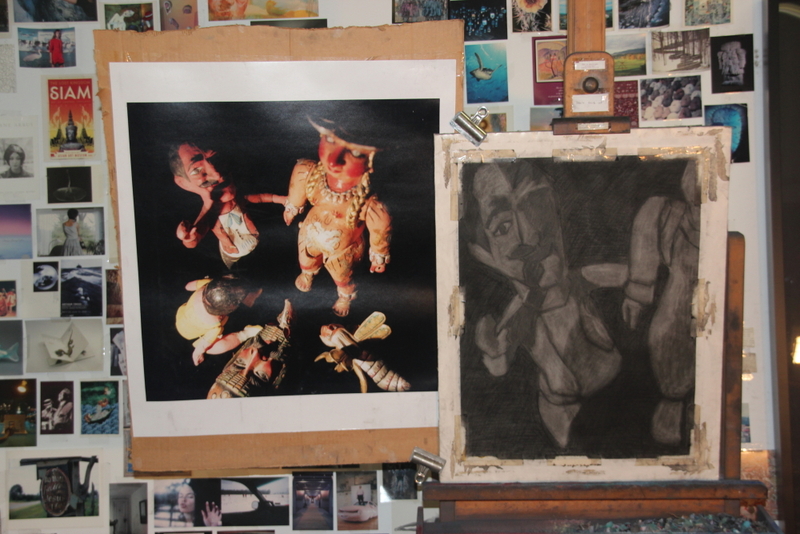 Posted on August 20, 2016, in Creative Process, Working methods and tagged easel, pastel painting, preliminary sketch. Bookmark the permalink. 2 Comments. It is interesting to view the isolated figures. The man is prominent suggesting someone sinister, drawing the hypnotized character forward. If this is your intention, I can see why the innocent members–the baby and insects–may have been superfluous, but I like them very much in the original print. Thank you for commenting, Cynthia. I made a large painting from this photo and called it “The Ancestors.” It includes all of the figures. We’ll see what happens in the scaled down version.